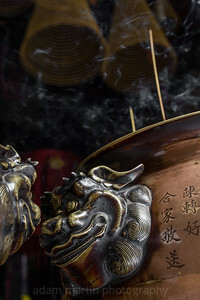 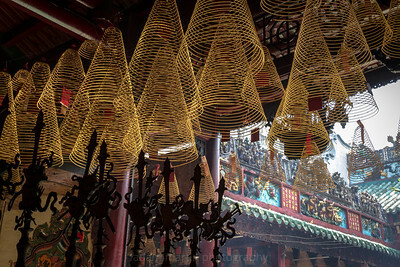 With the large spiral incense coiling down from the roof and smoke slithering skyward this temple evokes a sense of serenity. 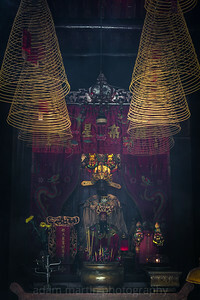 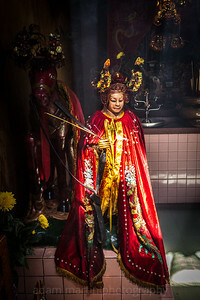 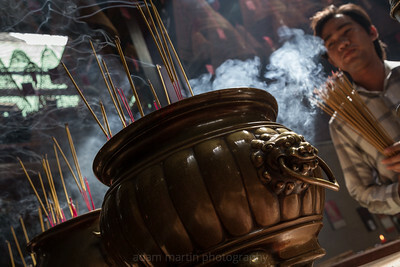 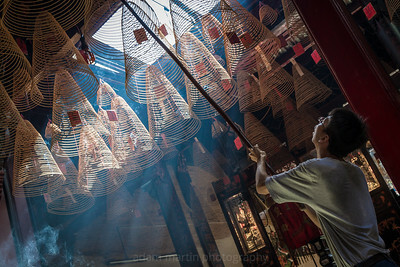 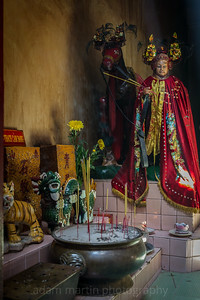 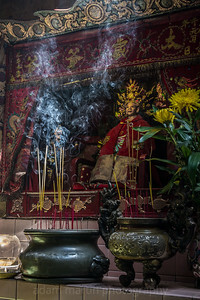 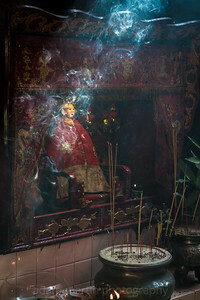 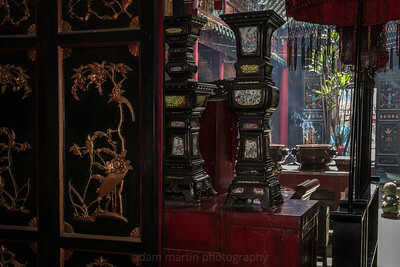 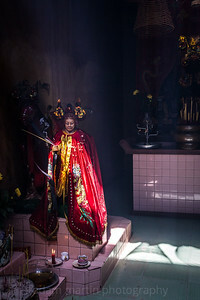 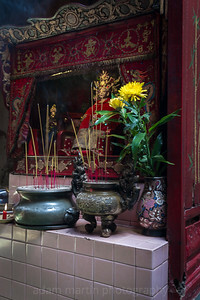 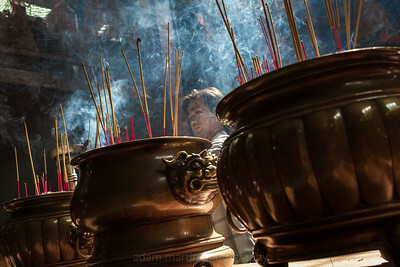 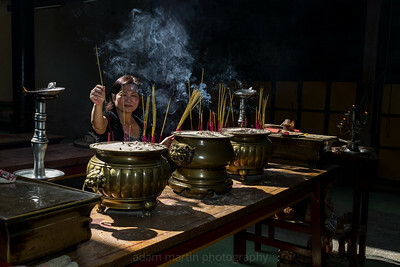 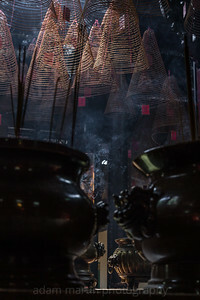 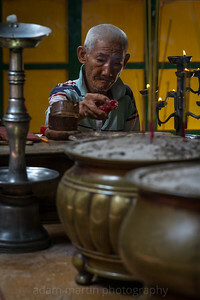 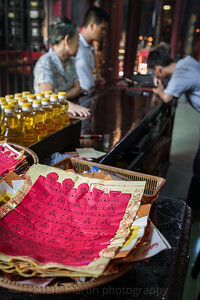 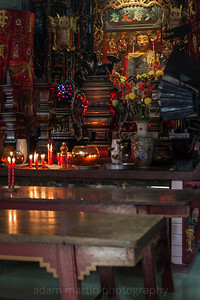 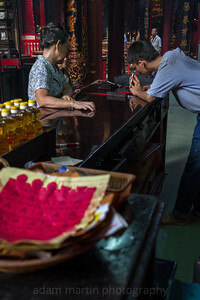 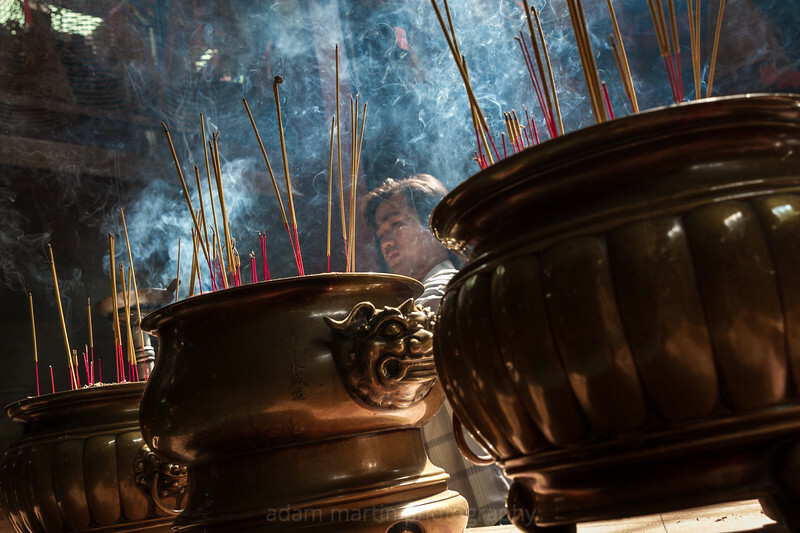 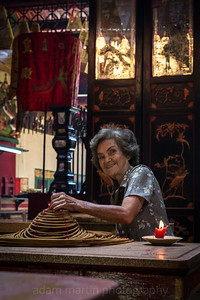 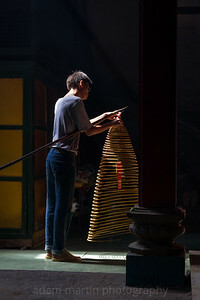 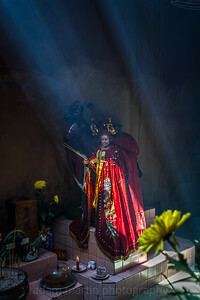 The woman attendant named Pinh, gets the incense coils lit and ready and then the young assistant grabs a long pole with a hook, picks the incense up from the centre and hangs them. 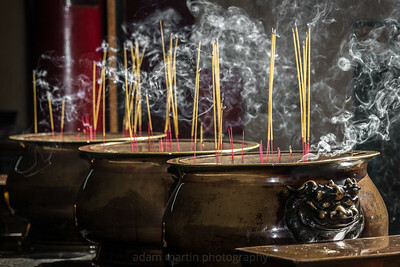 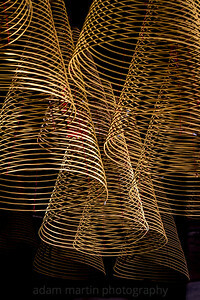 There are hundreds of coils and after an hour and half in the temple I found it quite difficult to breath. 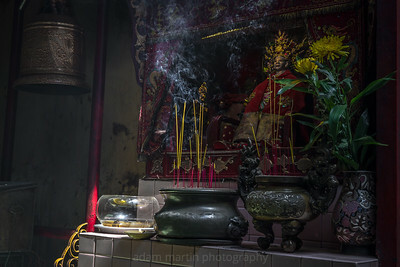 At about 9.45am the sun creates shafts of light that hit certain points very briefly, lighting up various different statues and deities.